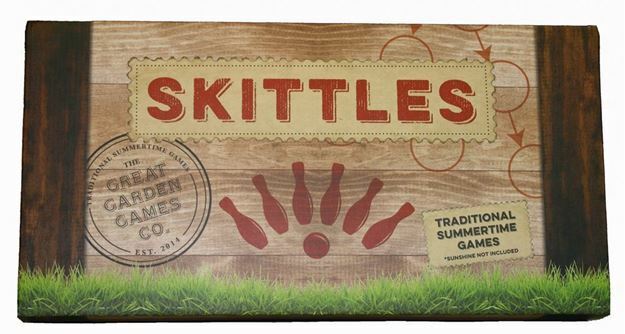 Beautifully crafted in wood, Professor Puzzles Skittles game is best played outdoors. Take turns with your opponent bowling the ball and knocking over as many skittles as possible in one turn! Includes: 6 wooden skittles, a coloured ball and instruction sheet. Two player game. Age 5+ years. Distributed in New Zealand by Holdson.